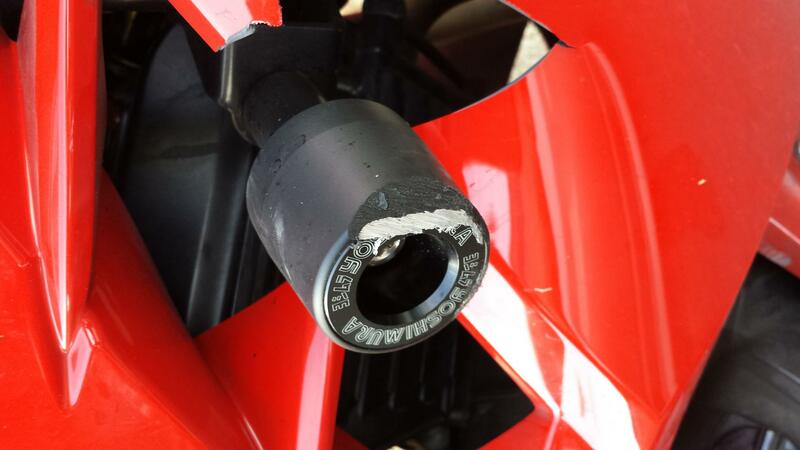 Kawasaki Ninja 300 Forum > Kawasaki Ninja 300 General > Ninja 300 General Discussion > Yoshimura frame slider fail? I laid my bike today and I wasn't even going that fast, like less than 20mph? Anyways, everything was installed properly, the frame slider bracket is still attached. Nothing came off, nothing loose. But the bracket BENT! Looks like it couldn't handle the weight of bike. 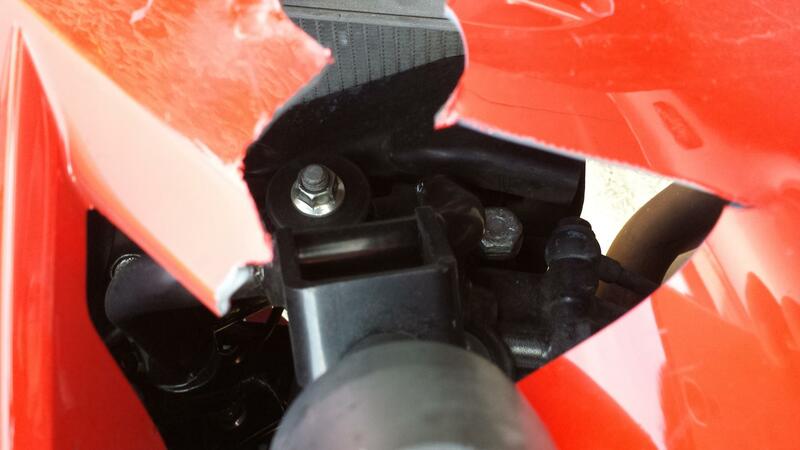 Now I have to replace the fairings, the entire frame slider kit, handle bar, bar end, brake lever, etc. The reason why I bought a frame sliders is because I was hoping that all I would need to replace is the slider puck and that's it. Instead of replacing everything. I know frame sliders won't protect everything and you might have some minor damages here and there, but I am kind of disappointed with this slider. I was not expecting this from Yoshimura...the bracket needs more rigidity. Is this common or what? Last edited by Timpo; 06-28-2015 at 10:32 AM. Frame sliders are a gamble. They should save a drop but if the bike goes down while moving, anything could happen. Usually a bent frame slider hit a solid object like a curb or pothole causing the full force of the bikes momentum to be focused on a single point. If the slider was able to "slide" on a consistent surface without an abrupt change in direction (immovable object) then in theory they would withstand the crash and save the bike from additional damage. Frame sliders aren't the protection everyone wishes they were. I used to use them myself until I learned this. Look at the woodcraft frame sliders. They don't protect your bike cosmetically however since they go under the fairings they won't rip through the fairings or bend. It does its job and protects the frame of the bike. I have seen posts in the past about the yoshimura sliders failing unfortunately. Mostly they are to protect the engine and frame but I think yoshi's may be a bad choice based on what I have read. 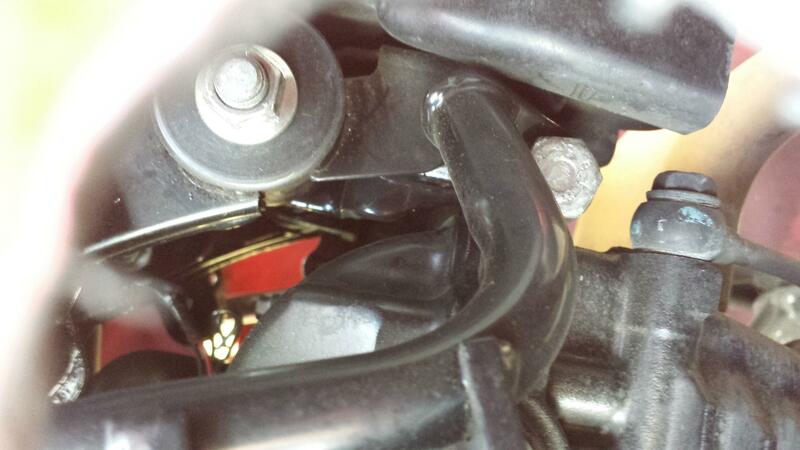 hmm.. ok so looks like Ninja 300 sliders does have propensity to bend. Not just Yoshimura.. I just found a quote from Woodcraft. Thanks for the email.....I'm happy to explain. Bikes with narrow engines like the Ninja 300 (and Ducati's, and several Triumphs) have a particular challenge with frame sliders in that it is a long reach to get outside the bodywork. This long reach gives obstacles a lot of leverage to bend the slider and cause damage. To combat this, we made "under the bodywork" sliders for Ducati's several years ago, and I have raced on them for years. After crashing on them a few times I confirmed my initial thoughts on this design, and that was that while they did not protect the fairings from being scratched in a fall (no sliders can ever do this in any kind of real crash anyway), they did a great job of protecting the engine cases and other critical parts like the radiators, etc.... As a big side benefit, the fairing gets "trapped" between the slider and the ground in a fall. This actually does a fantastic job to keep the fairing intact during a crash. I had a fall at over 140mph on my Ducati during which the bike hit airfence, a wall (backwards) and then slid down the asphalt to a stop. 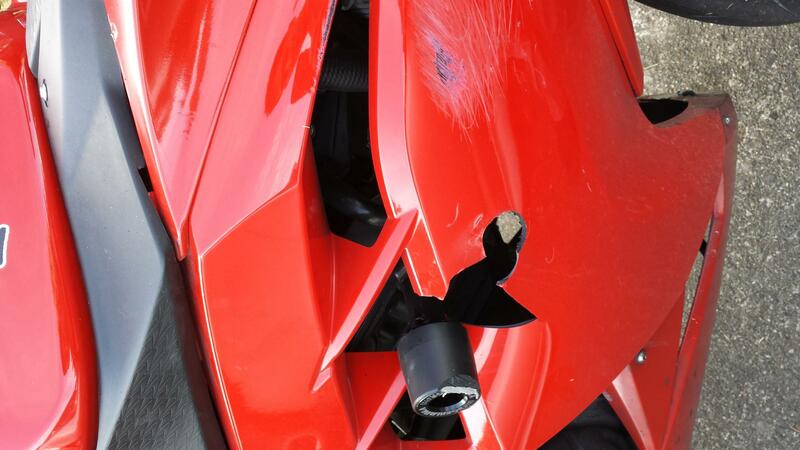 The bodywork had worn a 2 inch hole (the diameter of the puck) in it, but other than that was 100% usable. This saved a lot of money and time for me. I mounted this bodywork on my backup bike and raced it an hour later. The reason we show the sliders without the bodywork is that with the fairings on, they cannot be seen. They sit right behind the bodywork and the puck makes light contact with the inside of the fairing. I can tell you that we are putting together a Ninja 300 for the track this season and we will have these pucks on there for sure. I hope this helps you decide if these are for you. XxBeerTimexX and ArizonaSpeed like this. I saw that email a while back and that helped me make my decision to go with Woodcraft. I think the focus should be that they are "frame" sliders. 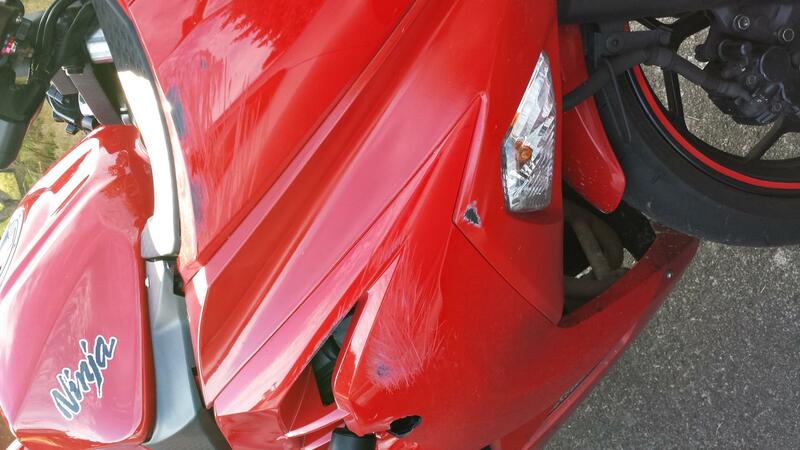 they are not meant to protect the body work or fairings. they are meant to protect the frame and engine in some cases. plastic is cheap, but if you damage the frame the bike could be considered totaled. XxBeerTimexX and g3min1 like this.